Crisis Media Training – This crisis spokesperson training will equip you with the best media skills and the latest crisis management strategies you need during a crisis. As a spokesperson you must know how to effectively work with the media and align with stakeholder emotions as you tell your organization's story. The best spokesperson skills are required when your organization's reputation is on the line during a crisis! Shaping Stakeholder Perceptions – News reporters and social media bloggers do not cover just the facts during a crisis - they focus on the emotions! This is why the right crisis media training is key to favorably shaping stakeholder perceptions and rebuilding trust during a crisis. 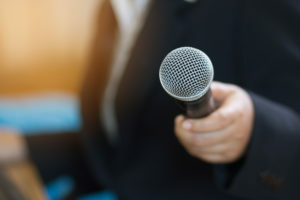 To be an effective media crisis spokesperson, you must know how to connect with people at an emotional level and humanize your organization. Studies show people are more influenced by emotions than by data, and this is where most organizations go wrong during their crisis response. Our team of crisis consulting experts will show you how to improve stakeholder assessments, so you can more successfully deliver crisis interviews that address stakeholder needs and expectations. Crises & Emotional Memory Tags – Our team of crisis consultants and trainers has studied crisis leadership, emotions and human behavior for the last 30 years. We will help you understand the role of what we call Emotional Memory Tags (EMTs). 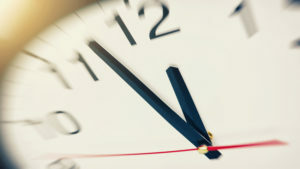 The brain tags certain moments in time when emotions are high, and this is why most crises have long-term symbols (or visuals) attached to them. These symbols can greatly impact your brand in the short term and long term. Your job as a spokesperson is to work with emotions as you seek to favorably shape stakeholder perceptions about your brand's crisis response and share the steps you are taking to help those affected. Advanced Spokesperson Crisis Skills – During this media crisis training, you will learn a wide range of crisis spokesperson skills, along with the latest reputation management trends and crisis leadership principles. You will also learn the following: how to improve your Credibility and Likability Factors; how to handle the toughest reporter questions; how to manage the interview and maintain control; how to stay on message; how to be more calm and comfortable in front of microphones and news cameras - and much more! Top Crisis Consultants & Media Coaches – Clients have benefited from Benchmark’s crisis media training and stakeholder engagement strategies more than 25 years – from environmental crises, to competitor meddling, to mass killings, to industrial explosions, to class action lawsuits, to E. coli issues, to industrial accidents, to activist protests, to oil spills, to food contamination, to chemical releases and more. Your people will walk away with stronger media crisis skills and spokesperson strategies to help your organization positively influence media and public perceptions.